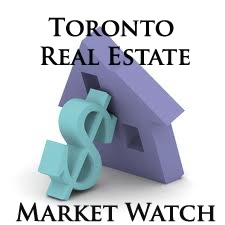 The Toronto Real Estate Board reported 7,600 sales through the TorontoMLS system in August 2014. This result was up by 2.8% compared to 7,391 transactions reported in August 2013. Year-to-date sales through the end of August amounted to 65,454, which represented an increase of 6.5% compared to the same period in 2013. “The last full month of summer ended on a high note. As we look toward the fall market, I expect that demand for ownership housing will remain strong. Home buyers will continue to benefit from a diversity of affordable home ownership opportunities throughout the GTA. The fact that sales were up for all major home types in August suggests that first-time buyers and existing home owners remain very active in today’s marketplace,” said TREB President Paul Etherington. The average selling price in August 2014 was $546,303 – up 8.9% in comparison to the average of $501,677 reported in August 2013. The year-to-date average price through August was $562,504, which represented an increase of 8.5% in comparison to the same period in 2013.